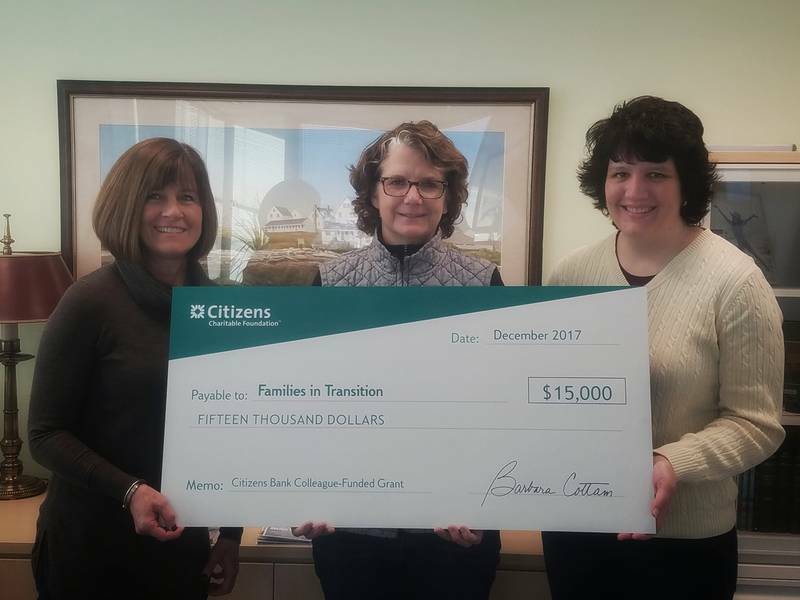 Citizens Bank today announced a $15,000 grant to Families in Transition. The grant is part of a larger initiative to provide $250,000 in grant funding to local non-profits across the Bank’s footprint. Citizens Bank colleagues voted to determine which organizations to support. Funding for the grants resulted from donations to the Foundation made by Citizens colleagues during its annual payroll giving campaign, as well as $200,000 in personal donations pledged by the bank’s Executive Committee at the end of 2016. Families in Transition provides help to homeless individuals and families as well as affordable housing and services to these families to get back on their feet and contribute to their communities. The organization will use the grant to provide safe, affordable housing to homeless families in the Manchester area.